It’s over 12 months on from the introduction of Toll Fraud alerting and TRUNK-LOCK as standard features on the entry-level call reporting module of our Vision Business Management suite of apps. Unfortunately we still appear to be the only PBX manufacturer taking this direct threat to our customers’ profitability seriously. Having been invited to sit on the Security panel at the Convergence Summit South during the autumn it was very clear to all present that other sectors of the industry now acknowledge that this is a real business problem; resellers, carriers and suppliers of billing platforms were all represented on the forum and all have taken steps to address the main threats over the past 12 months. Why don’t the other PBX vendors do the same? Is it a case of “someone else’s problem” yet again? Or are they just too arrogant to care? At least it’s given the opportunity to 3rd party software vendors to provide PBX add-ons and so provide a sticking plaster. Not the ideal solution, requiring the use of call centre interfaces to be utilised on the PBX, but at least it gives their customers something to protect their business with – albeit at a price. It’s not as if this is small time crime. The 2103 research posted by the Communications Fraud Control Association (CFCA) reports worldwide losses resulting from telecoms fraud at $46.3Bn, a 15% year-on-year increase. Hacking of PBXs and VoIP technology are number two and four respectively in the methods used to perpetrate fraud, accounting for nearly 20% of the total figure. The UK ranks equal second with India in the countries where toll fraud originates – and 10th when it comes to where these calls terminate. Interestingly enough, in addition to the UK only Latvia and Somalia feature in the top ten of both league tables. Closer to home the Telecommunications UK Fraud Forum (TUFF) estimates that toll fraud costs British businesses £1.2 Billion a year. To put that in financial context Credit Card fraud in the UK is estimated at £388 Million per annum. So don’t let anyone try and convince you that Toll Fraud isn’t anything but big business, both globally and in the UK. The addition of toll fraud detection has seen an increase in Vision sales, to the stage where we now see it shipped with over 70% of new systems over 25 extensions. To complement the release of our S716 Small Soft PBX we’ve also launched Small Vision Reports, which means that Vision – including all the toll fraud prevention features - is now cost-effective for even the smallest businesses. In addition we’ve added further preventative measures into Maximiser OS, which underpins all our PBX platforms, be they soft, hard or virtual. Manager Assist, a set of administration tools for Maximiser OS that makes the configuration and on-going management of SpliceCom systems the simplest in the industry, offers a System Check facility. This lists and flags the use of default, predictable or duplicated usernames, codes, passwords, etc. to enhance overall system security. Those perpetrating the crime of toll fraud are continuously looking for different ways to get rich quick at the expense of UK businesses. 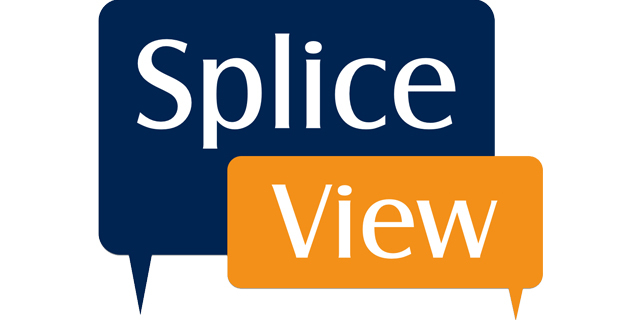 Because of this SpliceCom will continue to work alongside innovative, like-minded UK service providers, typified by Gamma and Voiceflex, whilst launching new preventative measures and enhancing existing ones in order to best protect our customers.